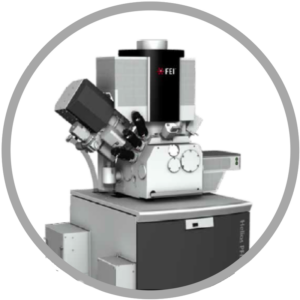 Two beam microscope, combines the advantages of ultra-high resolution electron microscopy and ion microscopy. Energy focused beam of gallium ions allows for the selective removal of material preparation and modification at the nanoscale. This involves the ability to perform cross-sections, a three-dimensional reconstruction and TEM sample preparation, as well as rapid prototyping processes without masked in nano- and microscale. – ion beam: 500 V – 30 kV. – The ultra-high-resolution imaging of surface preparation. – Creation and analysis cross-sections in nano- and microscale. – Imaging contrast material preparation. of SEM images (approximately 1 000 µm3 volume). – Rapid prototyping of spatial structures in nano- and microscale. Technology focused ion beam of plasma xenon (Xe-PFIB) allows new, unreachable by any others testing methods. 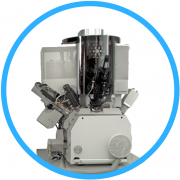 In conjunction with a high-resolution electron microscope and fast EDS detector brand Brucker is the only one in Poland and Europe analytical system. The advantages of the beam of xenon include up to 50 times faster operation than for technologies of gallium (Ga-FIB), lack of implantation and compatibility with most materials (also containing aluminum and gallium). – ion beam: 2 kV – 30 kV. – Etching material without leaving artifacts (e.g. implanting gallium). 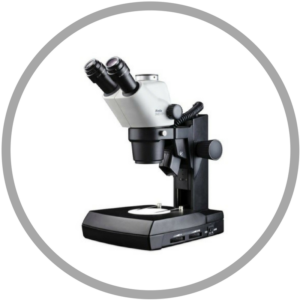 Microscopy AFM enables the testing of surfaces with atomic resolution. Perfectly reflects the surface morphology, allows the analysis of the electrical properties of electrical structures (connectors, transistors, etc.). 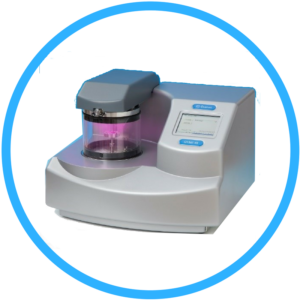 Our device allows the measurement of quality and quantity. Sound insulation and vibration damping system ensures stable operation. 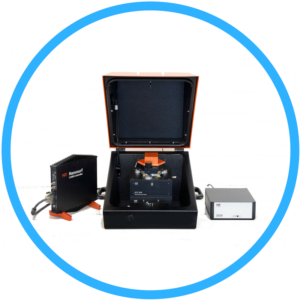 – Maximum working field: 100 µm x 100 µm. – Height range of the scanner: 10 µm. – Investigation of surface morphology. – Mapping stiffness and surface conductivity (resistance). – Measurements of the thickness of layers. – Statistics of nanoparticles sizes. A device which uses the method of physiochemical purification samples. 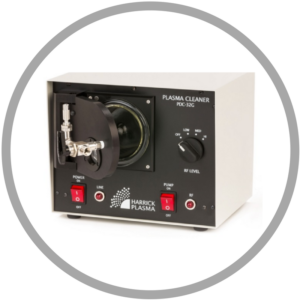 Ideally suited for cleaning samples in nano- and microscale. The cleaning process takes place in a vacuum, is fully automated and extremely fast (takes about 2 minutes). The surface is cleaned physically or chemically, by ion bombardment of inert gases or reactive. Impurities are processed into the gas phase and extracted. – Chamber dimensions: 75 mm diameter x 170 mm deep. – Maximum RF power: 18 W.
– RF frequency range: 8 -12 MHz. Ultrasonic technology is used for cleaning details with high surface area. Ultrasound energy reaches the hard-holes and crevices. The washing process consists of generate pressure waves of high frequency, causing cavitation in the bath. Air bubbles implode on the surface of the object to be purified and remove dirt particles (oil, dust, polishing pastes, chips, etc.). Ultrasonic cleaning prevents damage to mechanical parts, ensuring the highest quality and precision cleaning. Efficiency exceeds the traditional, manual and spray cleaning methods. – Internal dimensions of the tub: 320 x 320 x 280 mm. – Cleaning parts of the organic pollutants. High class microscope Greenough system (smooth zooming). In our laboratory, this tool is designed for initial optical inspection preparations. – Optical magnification: 7,5x – 50x. – Work distance: 110 mm. – Initial inspection of optical preparations. 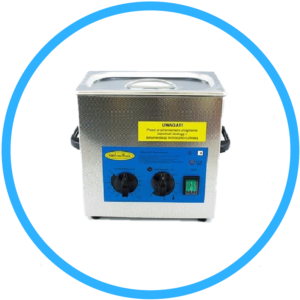 Rotary sputter vacuum is a device which is ideally suited for sample preparation for scanning electron microscopy (SEM) and ion (Ga-FIB/Xe-PFIB). It allows the application of stable, very thin conductive carbon coatings, which are removed after analysis. – Working platform: 50 mm diameter. – Preparing preparations for SEM analysis, Ga-FIB/Xe-PFIB.